In the immediate period after implantation, implants are risky spots and should not be put under excessive pressure. After implantation, one should also avoid aggressive cleaning procedures and overly intensive methods of oral hygiene around the stitch. The rest of the dental row should be cleaned regularly and with great detail. In the first hours after implantation, prevention of infection is vital. As additional precaution, you can use antiseptic solutions for washing the oral cavity. Even later on, a dentist should regularly check your implants and eliminate any sign of inflammatory processes. Opportune identification of inflammations contributes to a successful treatment and makes therapy easier. 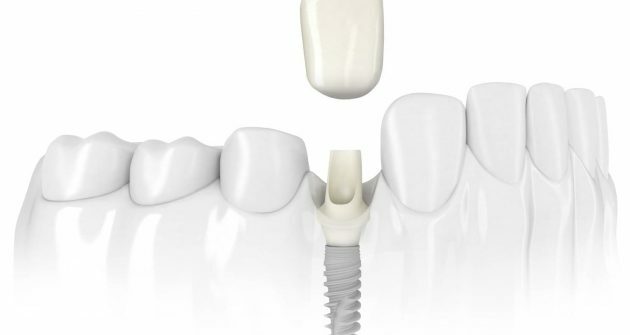 Neglected implant-induced conditions may lead to jaw bone deterioration and loss of the entire restoration. Check-ups should be performed every 3 to 6 months. Along with regular and proper oral hygiene, it is also recommendable to clean your teeth with special silk with soft segments that’s used for gaps between the teeth. 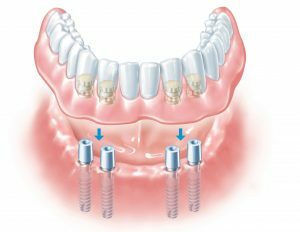 What causes loss of implants? The risky period is just after implantation when the implants still haven’t grown into the jaw bone. Combined with poor and insufficient oral hygiene, individual factors can also cause loss of implants. Smoking, changes in overall health conditions and different immune processes can cause separation of implants from the bone. All in all, to provide longevity and quality that implants can guarantee, optimum and proper oral hygiene is essential, primarily around the implant, but inside the entire oral cavity, as well.